The MYG netball took place on the 4th April. The children did very well on the day coming 27th out of 53. They came 6th out of 53 in the fair play award, a very big achievement which they should be proud of. Thank you to Rob from Firefighter Kit Kids for delivery a wonderful morning for our children on Thursday. The children thoroughly enjoyed learning about fire safety, nutrition and being active. Every year group from R-6 all participated in a 20 minute session in the hall. We have learnt to check our fire alarms regularly and to learn our addresses in case we ever need to call the emergency services. 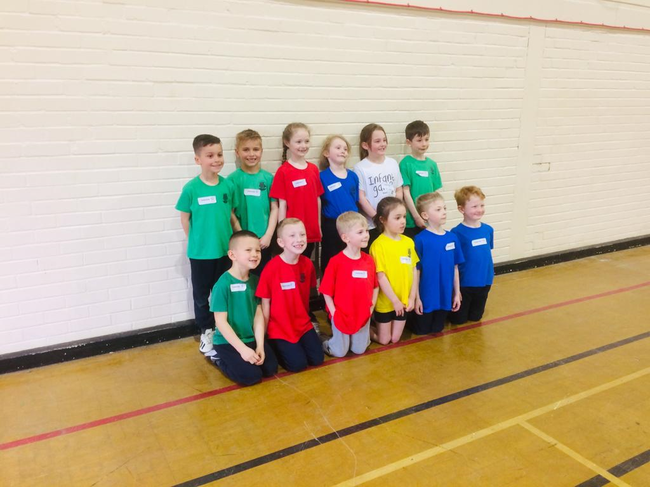 Last Thursday (21st March), Year 2 represented Fairview in our annual Multi-Skills festival and they did fantastically!! They dodged, jumped and ran their way to success finishing 1st place in the competition. Individually the team ended up with 8 gold and 4 silver medals. Well done to Ella, Rose, Skylar, Emily, Tate, William, Samuel, Alex M, Alex T, Thomas, Max S and Teddy. Cancelled due to bad weather. Well done to Anna N, Abbie, Grace, Betsy, Anil, Ethan, Harrison D, Tullulah, James K, Lucas W and Melisa for taking part in the festival last Thursday. The children all sprinted, dodged and threw their way to success by all gaining silver certificates for their achievements. Well done everyone, especially Betsy and Anil who won the Endeavour Awards! Anna and Abbie, you both showed your wonderful team spirit by encouraging everyone during and after their events, and that is to be applauded. Match report by Zoe - Year 6. Thank you to Mr Hammett for coaching us ready for the event. Thursday 7th February 2019 saw the school football team take on a strong Parkwood junior school. With most the team suffering from illness or injury some new faces had to be called upon. Big thanks to Joshua Wiseman and Ryan Crofts for stepping up on such short notice and both playing very well in the game. Unfortunately the final result was a 3-0 loss however with only 7 players and no subs the boys worked really hard and did not deserve to lose by that score line. Big well done to all the players involved and we look forward to the next match. Well done to Izabella for winning the Sports for Schools colouring competition linked to our Gianni visit. Beautiful colouring Izabella, well done. On Thursday, our Fairview team (pictured below) took part in the MYG Swimming event at Medway Park. This year, we had a very strong set of swimmers in our team and came 9th out of 46, which is a brilliant result! I hear we won the medley relay by half a length, which is an incredible achievement! Well done everyone and to Mr Bodkin and Mr Hare for supporting you, and to Mr Ryan with all his help with swimming so far this year. Thank you. 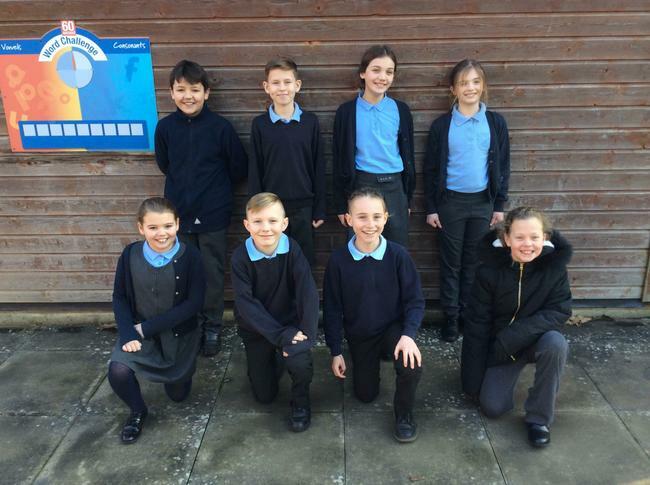 Naveen D reporting: “On Tuesday, 15 January, myself, Emma De, Emma Du, Isobel, Esme, Eva, Faith, Amber, Cara, Jack, Lucas, Toby, Arron, Jack, Ryan, Aaron and Ethan went to the Y5 & Y6 Sports Hall Athletics Festival. 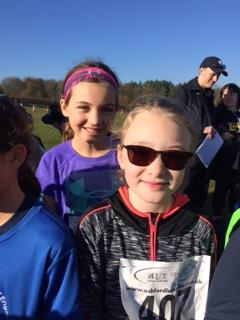 We all participated in 2 running events (such as relay, obstacle course and under and over) and two field events (including vertical jump, speed bounce, chest push and long jump). After that we had the team and Fair Play awards. Overall, we came 11tout of 15 in the morning competition. 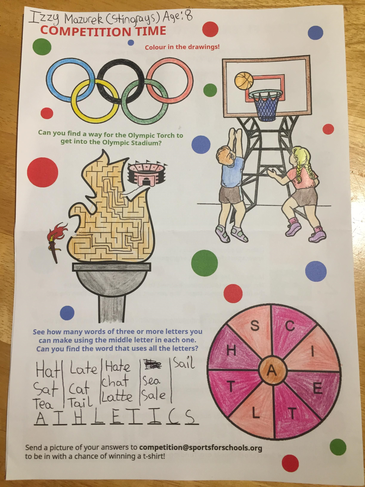 I really enjoyed the Athletics Festival and loved doing all of the activities.” Naveen, Y6. Overall, Fairview came a very respectable 19 out of 30 schools, so well done team! 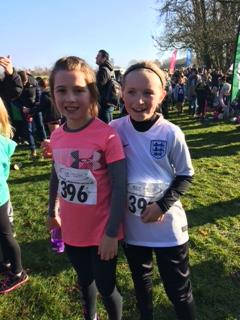 Kitty and Poppy have earned their first wristband for completing a half-marathon’s worth of parkruns. 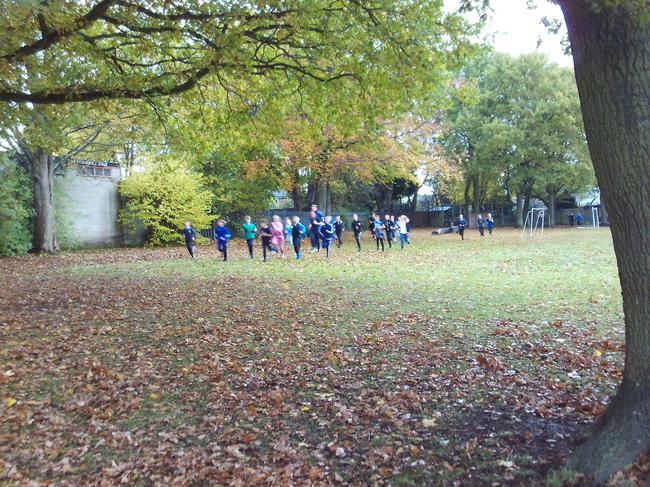 They run every Sunday morning with around 50 other 4-14 year olds. 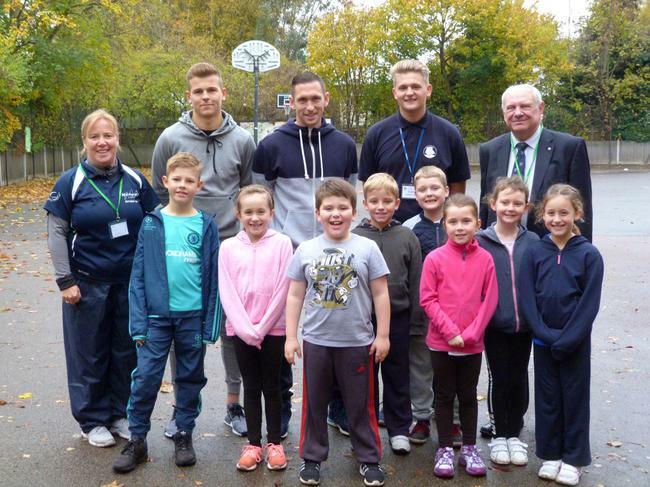 Blue wristbands and membership of the half-marathon club are awarded after 11 parkruns. 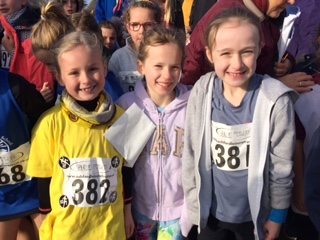 The girls are now aiming for the marathon club and a green wristband for 21 runs, and one day hope to join the ultra-marathon club and get an orange wristband for completing 50 parkruns. 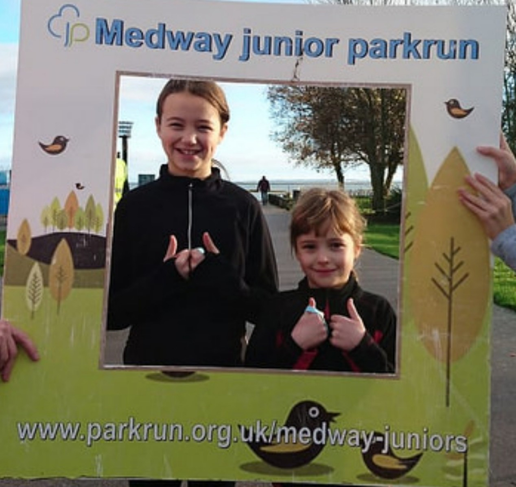 The Medway junior parkrun is held every Sunday (whatever the weather) at 9:30am at The Strand in Gillingham. It’s free to enter and a great way to make the Fairview Medway Mile that little bit easier. Well done Kitty and Poppy! I am Cara from Owls class and I swim for Black Lion Swimming club. 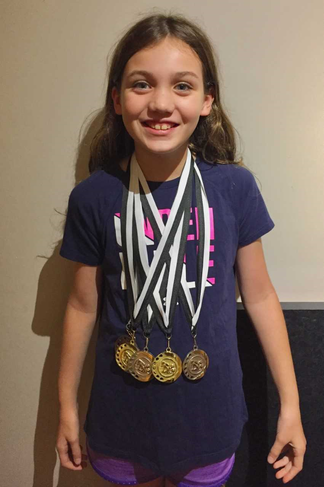 In October, I competed at the club championships where I won 5 medals: Bronze in the 50m freestyle, Silver in both the 100m breastroke and 100m backstroke and Gold in both the 50m breastroke and 100m freestyle. Then, in November, I competed against swimmers from other clubs around Kent at the Winter Open. I swam 5 personal bests in my 5 races, winning 3 medals for placing 6th in 50m freestyle, 5th in 100m breastroke and 4th in 50m breastroke. I am now looking forward to winning more medals in next year’s competitions. This week Fairview are participating in a intra house competition fro year R to Year 6 to determine the overall house winners for term. In each class we are looking for the fastest 3 girls and boys which can earn some house points this term. Whoever places 1st place will receive 15 points for their house in 2nd place will receive 10 points and 3rd place will receive 5 points. At the end of the term the house points will be added up the School Sport Organising Crew Sports Statistician and the house that wins will be announced in assembly. Good Luck everyone! Last Thursday, our MYG team competed in the Badminton event at Medway Park. Here is Accalia’s report of the day! “Naveen, Jessica, Jayden, Tom, James and I attended the Badminton Mini Youth Games. We came 21st out of 42 schools. The boys’ team won 80 points, the girls’ team won 53 points and the mixed team won 84 points. Mr Hare and Mr Bodkin came along and supervised us. We played 8 games. Well done to the badminton team - sounds like you had fun. 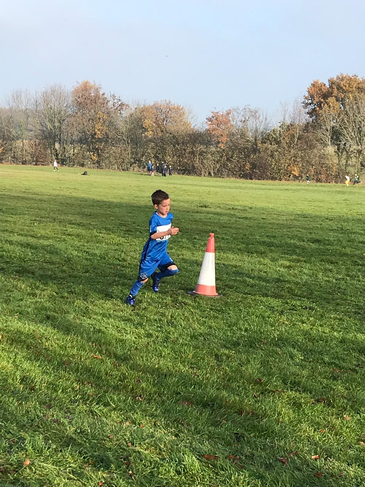 Well done to the 40 children that took part in Saturday’s Kent School Cross Country Championships in Detling, a very tough course full of mud with strong competition from schools that specialise in cross country but the children were still not put off! 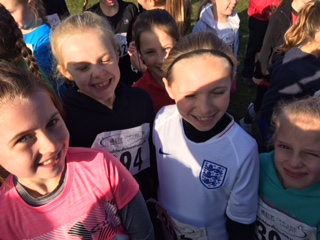 They ran their socks off from the start to finish and completed their races with some good positions. 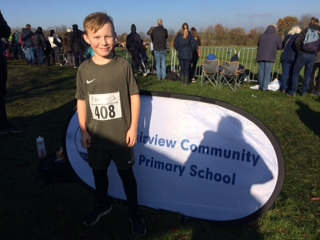 Our biggest achievement came from Luke W, year 4, finishing 11th out of 160 boys. Thank you to all the children and parents for supporting the event and especially to Mrs Turner who helped hand out numbers and chip timers to the children, thank you. 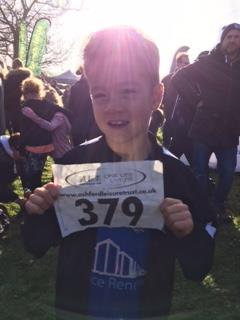 'It was an early start on Saturday 17th November and after a warm up with Mrs Searle we were about to go and get ready in our positions when all of a sudden it was a mad rush to get to the start line. When we started lots of people fell over and I was glad I stayed on my feet. There were roughly 160 people in my race and it was 1200m long. The course was slippery and hard work. I gave it 100% I was glad I finished it and got home for a hot chocolate.' Brooke Turner, Year 4. Young leaders have had their training with Mrs Searle. Their role in school consists of leading fun activities and games for children in years 1&2. This is a good opportunity for the young leaders to gain experience in leading and good for the children to allow them to have more activities at lunch time. Thanks to Shana, Natalia, Holly, Sienna H, Mia, Lauren, Sienna B, Poppy, Lily, Amber, Beatrice, Sean, Sophie, Scarlett, Safa, Aaizah, Faith and Savannah. Sport Ambassadors have had their training with Mr Hare. 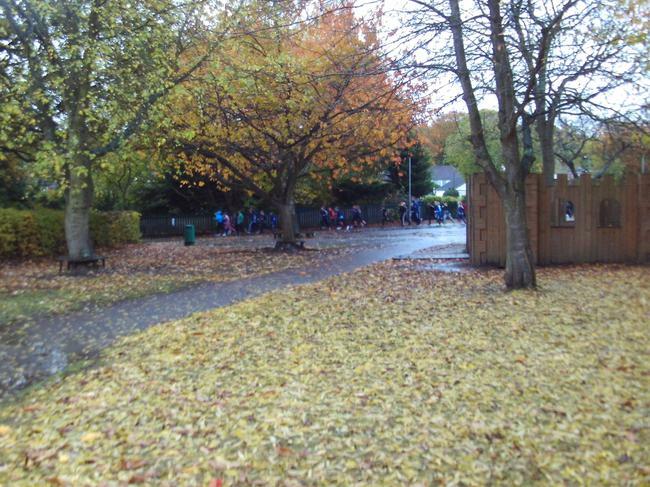 The role they have in the school is to provide games at lunchtimes for children in years 3 and 4. They lead games such as Football, Basketball and Cricket etc. Thanks to Joshua H, Emma D, Alexander, Naveen, Otega, Oliver A, Bridey-Louise, Jessica H and Cullam for the all the time that you devote to your role. 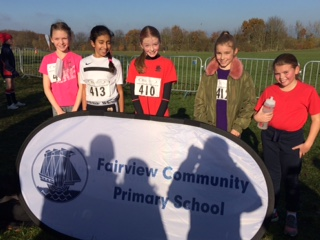 We have a number of Mo Farah's in the making in our year 5/6 Cross Country team after last Tuesday’s race. 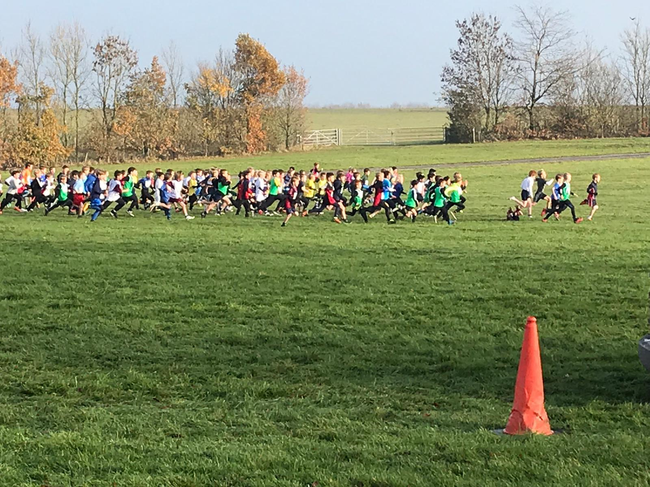 Well done to the whole team on completing that tough 1.5km run - Naveen, Sophie S, Brooke, Pepper, Cara, Eva, Barbara, Daniel, Joshua W, Max H, Olly, Freddie, Harry P and Harry l. The girls’ team are currently in 3rd place in the Medway Schools’ League and the boys in 8th place. 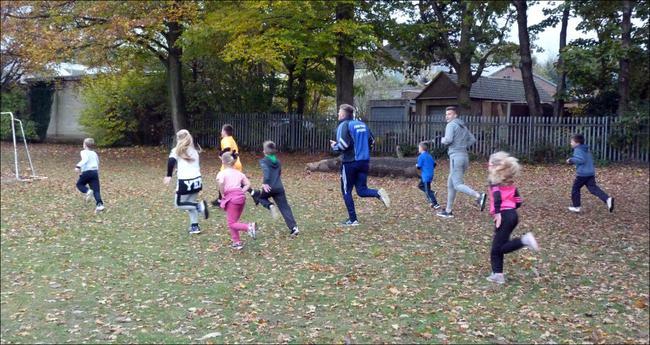 Looking forward to seeing you all run again on 16 October at Thamesview! 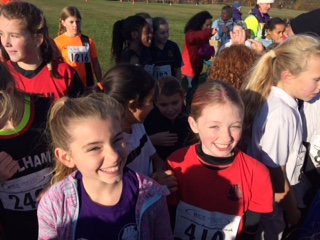 Another excellent performance from the Cross Country team at Thames View Primary. After 2 races, the girls are currently 2nd (out of 20 teams) and boys are in 7th out of 24, so there is everything to play for at the next 2 races in March next year! Three of our Year 5&6 boys have been selected to play for the Medway District team. It was a very gruelling process so a big congratulations to Daniel E-J Year 5, Joshua F Year 5 and Joshua W Year 6. Last Friday the whole school took part in a sponsored event at school. We were privileged to have GB athlete Gianni Frankis visit us for the day. Let's start with some wonderful news! This week like many others I have been immensely proud to be part of Fairview. I can confirm the Sponsor Circuit with Gianni Frankis' event raised a staggering £6,544.80, what an excellent achievement by all of our children, parents, families and friends. Never did I expect to raise such a substantial sum. Thank you all for your amazing support. Approximately £3000 will be going to help under privileged Athletes train and £3000 will be spent on improving PE facilities/equipment in school. With this in mind I would like to invite the 11 top fundraisers for squash and biscuits to help me decide how we will spend the money. Well done to the following children - Jude (Lions), Chloe (Ladybirds), Harrison (Sharks), Esta (Woodpeckers), Holly (Hummingbirds), Betsy (Hedgehogs), Rylie (Hedgehogs), Alexander (Tigers), Teddy (Tigers), Leah (Dragonflies) and Vaidehi (Leopards). Every child who raised sponsorship money can award themselves 5 House Points and the highest fundraisers 20 house points. Thank you again. Last week, our MYG team competed in the MYG Baskbetball event. Here is Emma’s report of the day. ‘Alex, James, Tom, Oliver, Jack, Timi, Eva, Ruby, Lana and I went to the MYG Basketball to represent the school. We all enjoyed it thoroughly, we played 8 tiring matches. Through much disappointment and excitement we tied in some games and won a game. The other teams played well and we were all good sportsmen. In the end, we can 20th out of 37, even if we were disappointed with some of our results, we had fun and tried our best! Just 2 years ago Fairview introduced the new School Mile – which was 3 laps of the school field. At the time I couldn’t run around the field once without stopping, but along with my class we walked and ran the route until we could do the full 1 mile. Then this time last year I ran with members of my family at the Disneyland Paris Magic Run Weekend and did the 5k run. What an amazing experience that was. The opportunity then came for me to run again this year – and I decided to up the challenge and signed up to run the 5k, the 10k and the Half Marathon! Training was not always easy, but running began to become something I looked forward to doing. Around a year ago, Mrs Searle and Mr Hare put details of the local 5k Parkrun in the school newsletter and I looked up the details and decided to go and now I run most Saturdays with my husband. That has really helped improve my running stamina. Then when this year’s Magic Run weekend arrived, there were over 7,000 runners taking part in each race. How wonderful it felt running with them and pushing myself to achieve my goal. I surprised myself and managed to run all 3 races alongside my husband. All the training and hard work had helped me achieve something amazing and it left me feeling empowered – to know that we can achieve more then we think if we put in the time and effort. 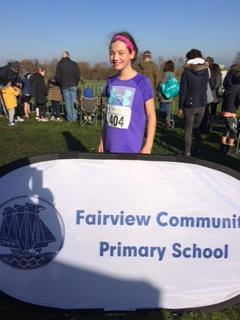 Thank you Mrs Searle, Mr Hare and the Fairview Mile for helping me to get fit which has allowed me to have more wonderful running experiences. 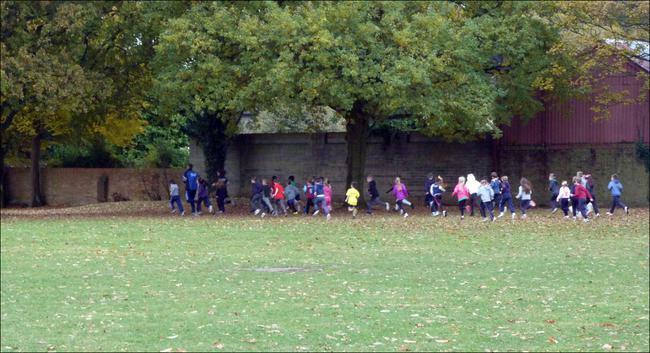 Fairview is the first school in Medway to sign up to a commitment for every child to walk / run a mile each week. Here are some pictures from our first week.